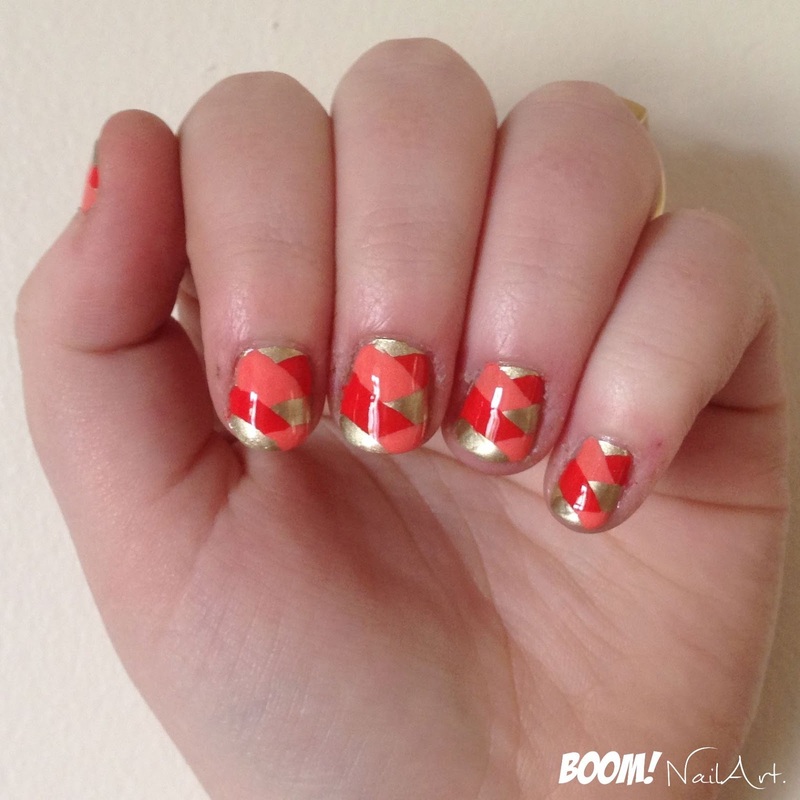 This is a super easy design to create, and it doesn't require any type of nail art tools, just 3 different colour nail polished! 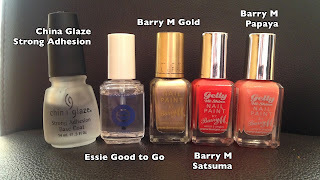 Before starting choose 3 different colour/shades of nail polish and decide which will be; colour 1, colour 2 & colour 3. 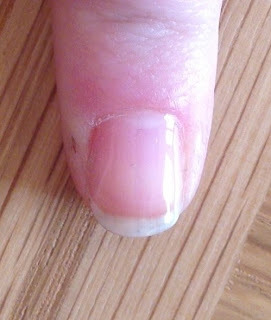 Start by applying base coat. Then paint your nails with colour 1. 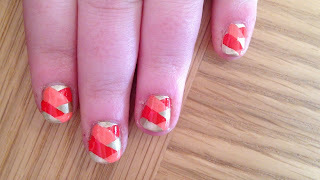 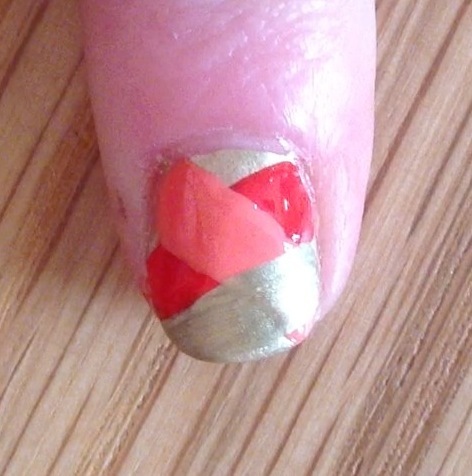 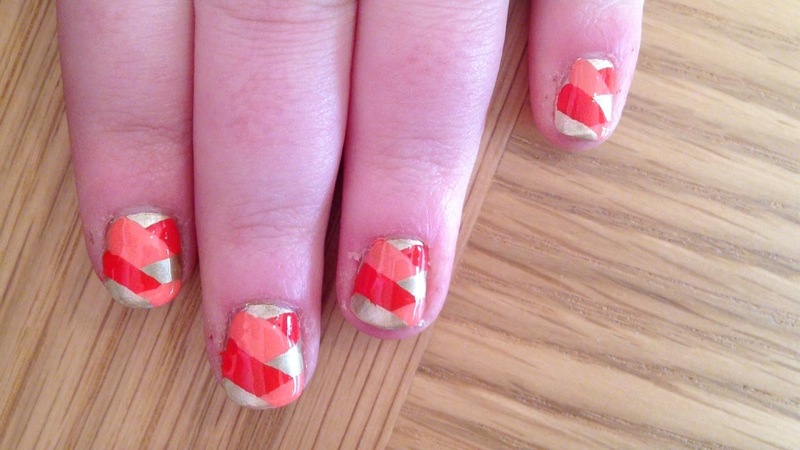 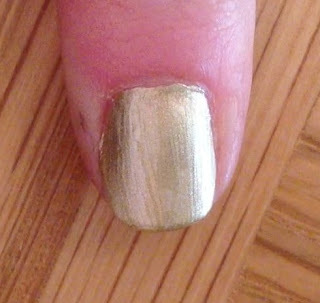 Using colour 2, create a diagonal line from one top side of the nail to the other side. 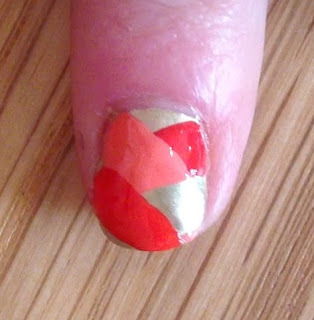 Then using colour 3, doing the same going the other way. 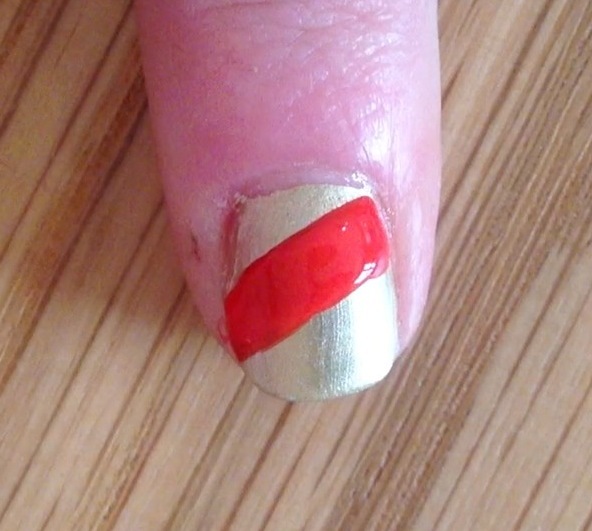 Then paint a line with colour 1, directly below colour 2. 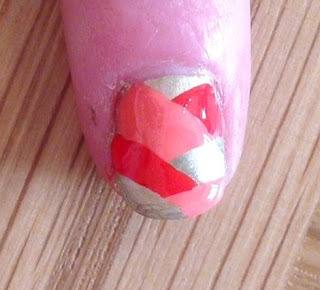 Repeat on the other side using colour 2, below colour 3. 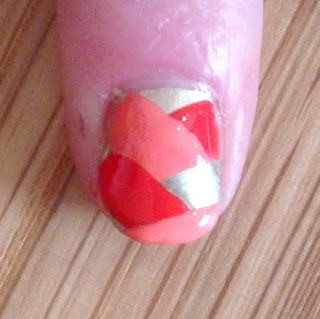 Repeat on the other side again using colour 3, below colour 1. Finally using colour 1, below colour 2. 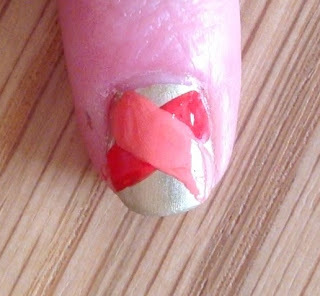 You should end up with a strip of all three colours on each side.